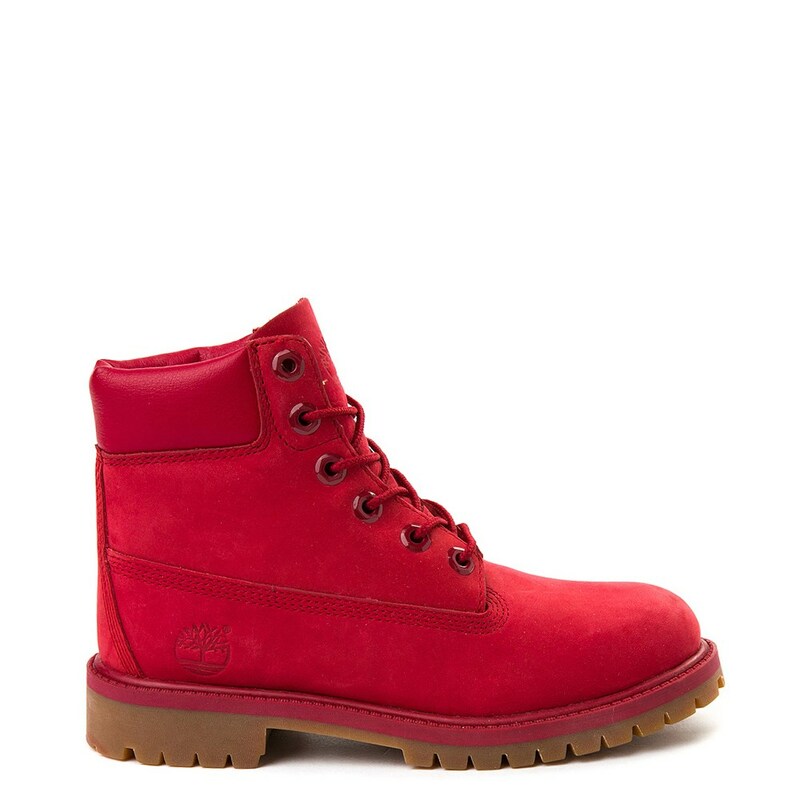 Heat things up with the new 6" Classic Boot from Timberland! The Timberland 6" Classic boot features an enhanced waterproof leather that's durable and resistant to abrasions, so kids' growing feet will be protected. Rustproof hardware, a steel shank for arch support, durable laces and a rubber lug outsole add to the rugged quality of these awesome boots; a padded collar and EVA footbed provide all-day comfort and shock absorption. Available only at Journeys Kidz!